The Forsmark nuclear power plant is one of three in Sweden where about half the nation’s electricity comes from 10 reactors built on the coast. Sweden gets a lot of press as the country that’s figured out not only how and where to dispose of its nuclear waste but – significantly — how to win community support. Today, in the second installment of our radio series, we’ll hear the Swedes explain what it took to change public attitudes. You can also take a visual tour here of some of the places I visited and people I met while tracking Sweden’s progress. 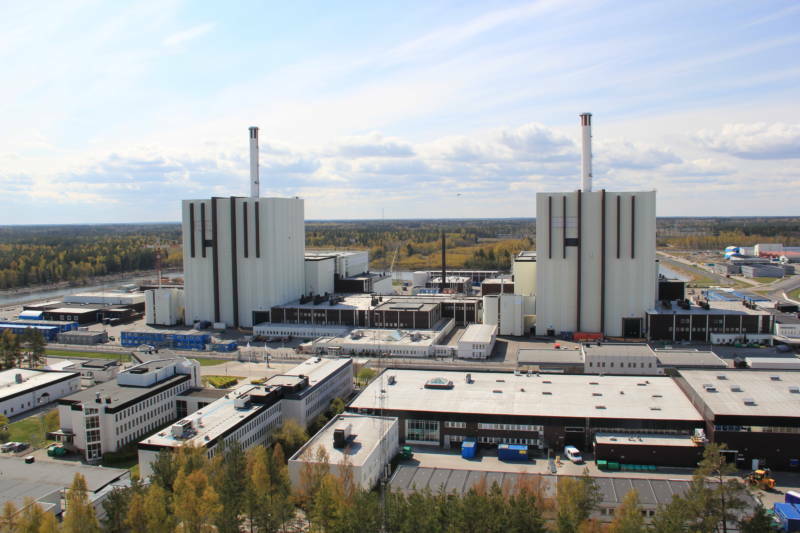 While the U.S. – and pretty much everywhere else in the world – is in a political meltdown over the topic, The Swedish Nuclear Fuel and Waste Management Company or SKB, is making strides toward a deep geologic disposal site at Forsmark in Eastern Sweden. In this video, a company representative explains how the company plans to encapsulate the fuel in copper canisters before burying it. And you can peek inside the central interim storage facility with this video that shows where the waste is currently stored in what looks like large swimming pools. Forsmark is part of the 22,000-person community of Osthammar which has been deeply involved in the repository issue for at least 15 years. You can read more about its work on the community website. While there are still plenty of critics and some unresolved questions about whether the company’s proposed disposal method can withstand the test of time, local residents so far are willing to trust that the waste can be managed safely. And they’ve come to accept that the stable bedrock in their region could be one of the safest places to bury all of Sweden’s nuclear waste for the next 100,000 years. Osthammar of course stands to benefit from the jobs and investment that would come along with a repository, but everyone I talked with in Sweden told me this willingness to step forward is much more than financial. Among the people I ran across in Scandinavia was Janet Kotra, a senior staffer with the U.S. Nuclear Regulatory Commission. She was there for a meeting of international nuclear communities and told me the United States can learn a few things from Sweden, which admitted a long time ago that solving the nuclear waste dilemma is not just a technical issue. See Monday’s blog post to see where California’s nuclear waste is located and to explore an interactive timeline of the history nuclear waster disposal. Ingrid Becker is the senior producer for KQED's statewide news service, "The California Report." She joined the staff in 2002 after 16 years working for regional newspapers, online news sites and public media. She and her team have been recognized by nearly every major journalism organization for their coverage of California issues, politics, policy and personalities.